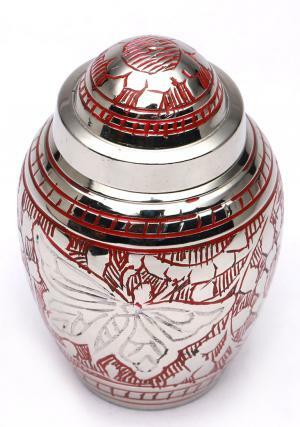 Dome top butterfly engraved red keepsake urn for ashes is engraved in red swirls around the urn and covered in silver butterfly with flowers around. 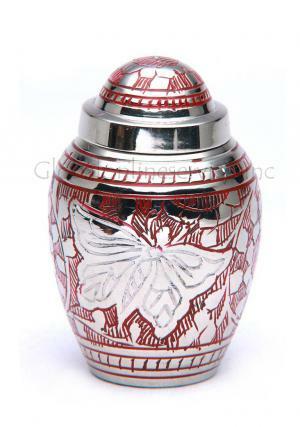 Small keepsake memorial urn is made of quality brass with conventional art that has a flower on dome top covered in red scars. 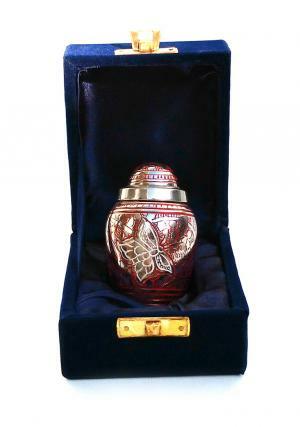 Mini keepsake funeral urn is enameled with nickel finish on the brass metal with red engravings on top of the dome. 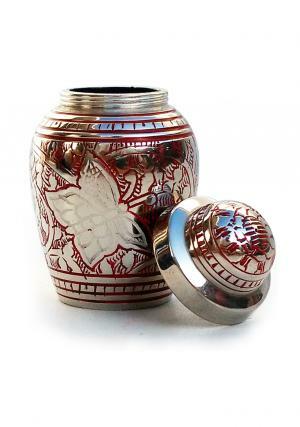 Small keepsake urn has a pleasant look with a large butterfly and red scars on the urn which would make the urn an honor to present it to the family who are in need of storing human ashes. The work presented on the urn would show the efficiency of skilled professional as their prime motto is to satisfy customer with their unique design. 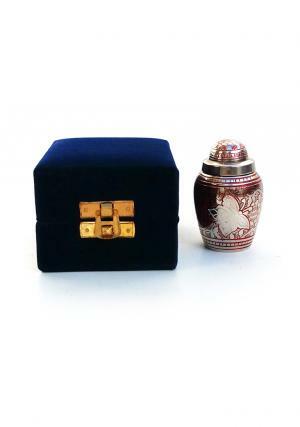 Mini keepsake cremation container urn has a threaded lid on the top of the urn for secured ashes and weighs 0.15 KG to approximation with 2.6 inches tall. 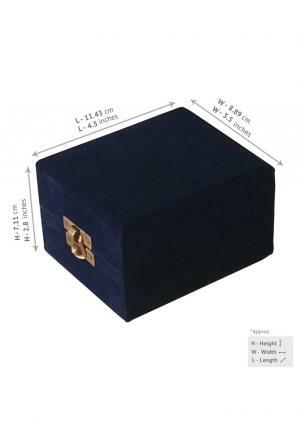 The mini urn is carried in a free velvet box to carry urn and delivered for free in UK.